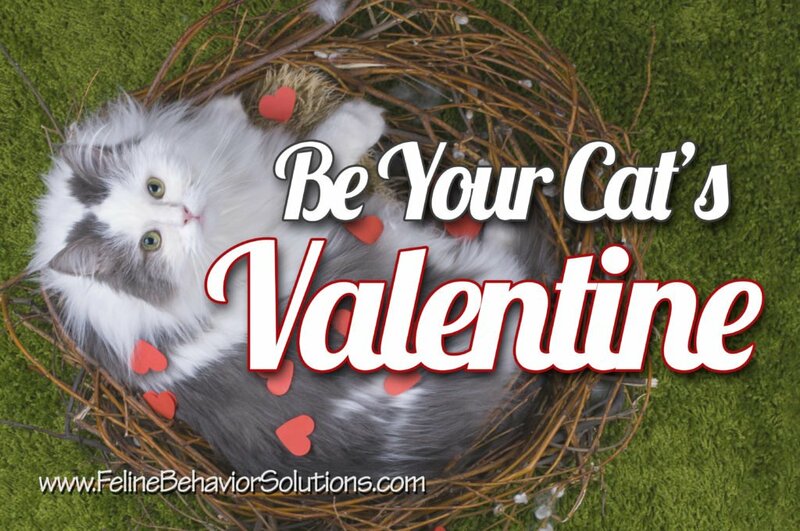 Valentine’s Day is just around the corner, and I’m sure you’re nibbling your fingernails wondering what you are going to do to show your furry family members just how much you love them. Well, never fear, because I’ve got you covered! And as an added treat, most of my suggestions don’t involve spending a bundle of money to buy the trendiest new cat bed or Apple’s next version of the iPee litterbox (someone please tell me this will exist some day!). 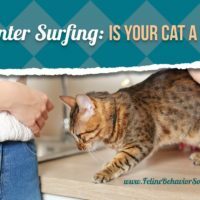 In fact, these are things that you can do or try any time of year because they are good for your cats…and treating your cats well makes them happy. And when your cats are happy, you are happy – because let’s face it – nothing can make a lovely Valentine’s Day head south faster than an unhappy cat. 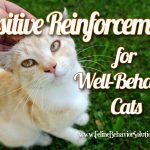 But let’s not go there – we’re focusing on happy cats, and these seven ideas are sure to give your cats a little boost of love. Be your cat’s Valentine! 1. Surprise your cat with a trip to the happiest place on earth, the vet’s office! Ok, my claims of all these suggestions making your cats happy might have been a little exaggerated. I’m not familiar with one single cat who likes visiting the vet. 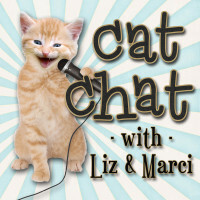 However, this is suggestion numero uno for a very important reason: your cat’s happiness is dependent upon her health. Cats are excellent little liars and will tell you that they feel fine, even when they don’t. 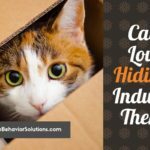 They are extremely good at hiding pain, and in many cases, cats exhibit pain symptoms only when a condition has progressed to a serious point. 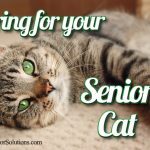 So please make sure your cats are current with their check-ups; this is particularly important for senior kitties. 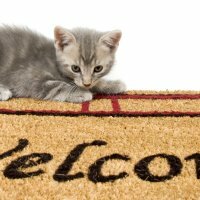 Even though your cat might not like the trip to the vet’s, you will be able to make sure that she’s either healthy or getting the care she needs. And BONUS IDEA, just in case your cat needs another reason to be angry about seeing the vet: in addition to February being National Cat Health Month, February is also National Pet Dental Health Month, so make sure your vet takes a look at kitty’s teeth, too! 2. Bring your cat a fresh catnip bouquet, or make her a catnip toy. What says “I’m sorry I dragged you to the vet where they did horrible, horrible things to you (and then you give your cat an eye roll, but make sure she’s not looking)” better than a bouquet of fresh catnip? Maybe some other things on this list – I don’t know, because I don’t know your cat. But, most cats I do know love a little whiff of the ‘nip, if you know what I’m saying! If you don’t have access to fresh catnip from your garden (because it’s February), you can often find it at pet stores (kind of expensive) or even at your regular grocery store in the herb section of the produce area (less expensive). Or, if you want to make your own catnip toy, that’s super easy to do! Simply cut out two heart shapes of the same size from a piece of felt, put a tablespoon or so of dried catnip leaves between the hearts, then sew the hearts together (either by hand or with a machine). Voila! Catnip joy! 3. Try a diet upgrade. 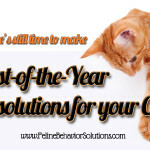 One of the most important ways you can keep a cat healthy is by increasing the quality of his diet. If you feed your cat dry kibble, try incorporating canned wet food. If you feed your cat wet food, try incorporating raw food. Or, have a goal of switching over to the upgraded diet permanently after a period of time! 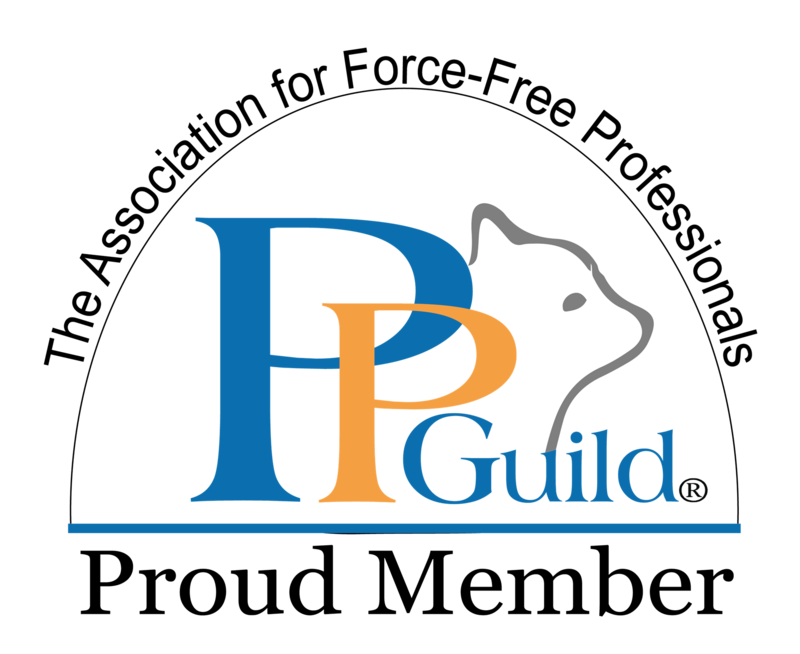 Need help figuring out how to do that? 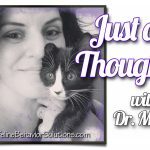 Pam Johnson-Bennett offers some great tips on going from dry to wet food here, and Raw Fed Cats has a comprehensive article about transitioning to a raw food diet here. 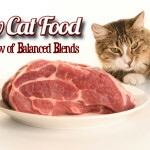 I started feeding my kitties raw food by Balanced Blends and here is how that turned out. But before you change your cat’s diet too drastically, always do your own research, and talk with your vet if you have any questions. Jules, a.k.a. Tron, reaches for some treats! Photo by Joy Wilson. 4. Bake up some kitty treats! There are plenty of healthy cat treats you can whip up for your kitty, and because the ingredients tend to be basic, the recipes are pretty easy. 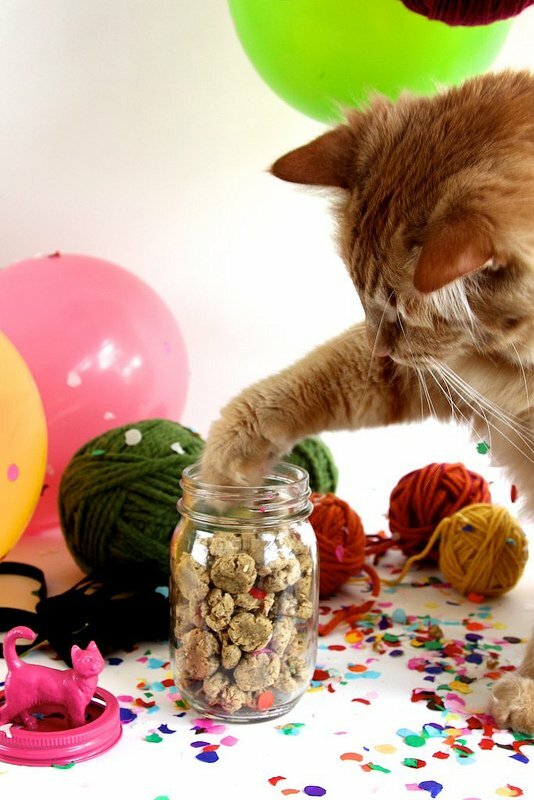 Check out this recipe for Tuna Catnip Kitty Treats from Joy the Baker, or these Valentine’s Day treats that feature frozen mashed bananas, melon chunks, and strawberries. Be careful though – there are many people-food items that are dangerous to cats, so make sure that you’re using safe ingredients. And these are treats, not meal substitutes, so moderation is key! 5. Let your cat proudly show everyone who his guardian is. 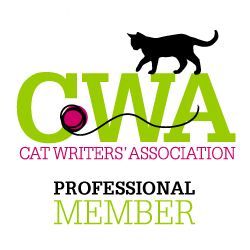 Now is the time to get your kitty a brand-new collar and identification tags! Or, if your cat hasn’t been chipped, take your cat to the vet (sorry guys…) to get tagged with identification information that will stay with him even if his collar doesn’t. But make sure, one way or another, that your cat will find his way home with the help of humans should he need it. 6. The “I Love You” Blink. I first read about the slow blink, kitty kiss blink, or the I Love You blink, a long time ago, in Anitra Frazier’s The Natural Cat. I don’t know if she came up with the concept or not, but since then, I’ve seen this move described by several others (here’s Jackson Galaxy’s version). 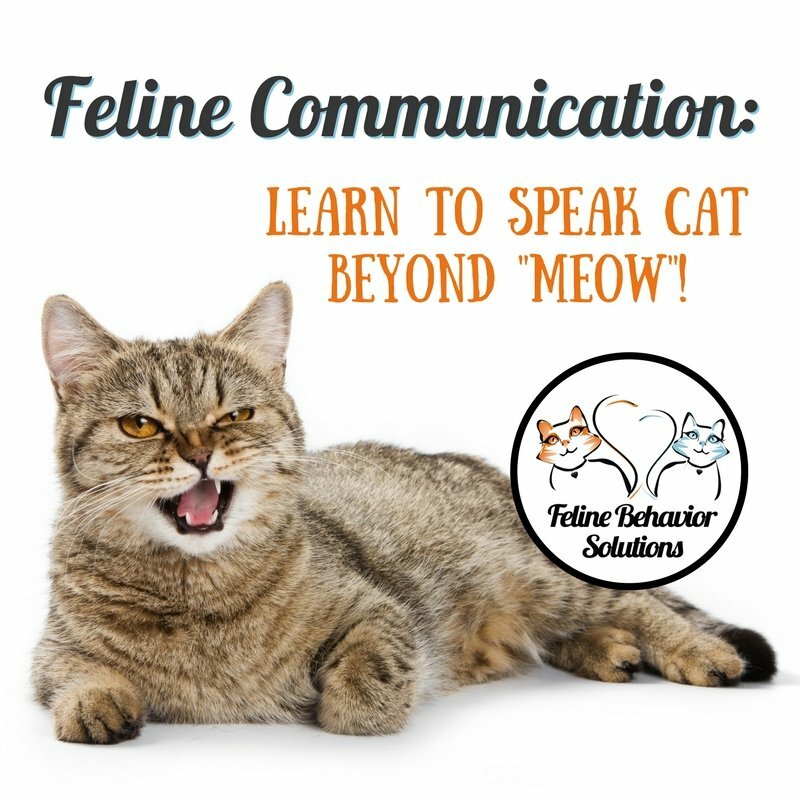 Basically, the slow blink (if you do it right and don’t act like a crazy person about it) communicates to your cat that you trust and respect them, and if they return the blink, they’re sending the same message back. Cats will do this with each other, and it’s a nice way to send a calm message to your kitty. And it’s easy! The only caveat is to not stare intensely at your cat’s eyes, because a lot of cats don’t like direct eye contact and view it as a challenge, or intimidation. So here’s how you do it. Basically, you’re going to slowly blink to the words “I love you”. Slowly close your eyes as you think “I”. Keep them closed as you think “love”. Slowly open your eyes as you think “you”. Move your eyes away, or look to the side. With a little practice, your kitty will return the blink to you! 7. 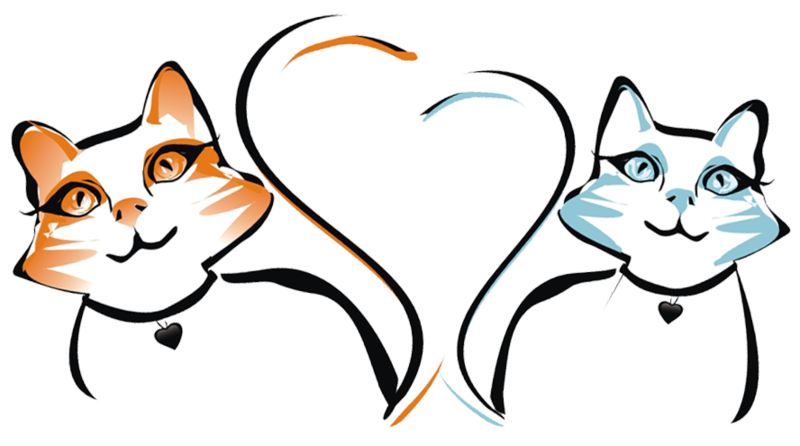 Share your love with shelter cats. 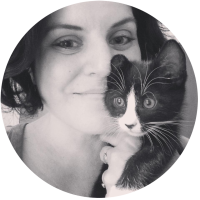 Perhaps you’ve given your own kitties enough love for the holiday (as if!) and you have some leftover affection that you’d like to share with someone, somehow. Or maybe you don’t have a cat for whatever reason, but love them dearly. 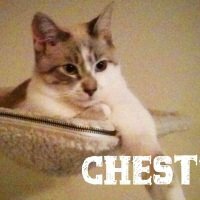 The sad truth is that there are tons of shelter cats out there who need your love and attention…even a few minutes can make a big difference in the day of a cat who spends most of her time in a small kennel waiting to be adopted. If you have the time, please visit your local shelter and volunteer – whether it’s cleaning up, feeding, or simply socializing with the shelter’s cats, you’ll be helping to make someone’s day a little brighter. And I’m sure that your own cats will understand! 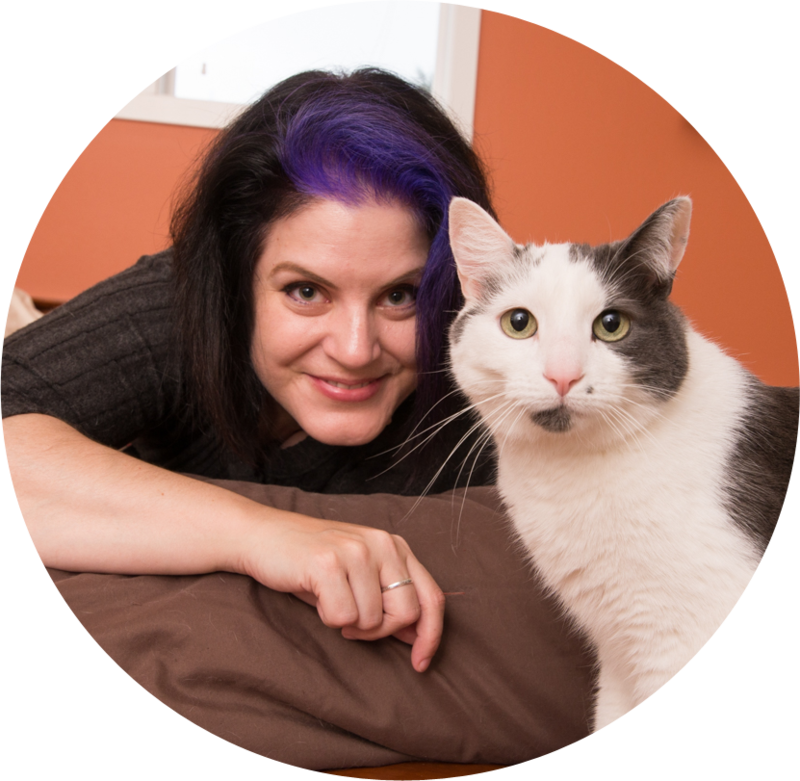 Daisy and Peaches: A Tale of Two Kitties…And Stress-Related Litterbox Issues!Does Your Cat Need an Extreme Litterbox Setup Makeover?